"Black candle tobacco" is just a fancy occult name for tobacco, it is exactly the same as... you know the ordinary thing everyone smokes which is found in cigarettes and cigars? Do not be confused. The scientific name for the plant is "nicotiana tabacum." This is a herb that I like very much and resonate very well with. (No, unfortunately I am not a chain smoker.) It is a very hypnotic herb, that makes it as if there is no distance between say, a target or a place you wish to "visit" if you know what I mean. It is a very "deep" and in some ways a dark herb. Like opium (which is more of the mind and healing), but more on a spiritual level. It is also not as "heavy" as opium. Hence it is often used in communication spells, in which all distance no matter how far is bridged and a target's spirit can be talked to directly. It can be used for controlling, and even cursing. The fact that it affects the caster physically as well, gently calming while smoking much helps the mind to focus. Like making your conscious mind less alert, and the subconscious heightens, it is like being pleasantly half in a dream. I enjoy the latter very much. Oh, I have gotten off topic now! This spell involves you getting your hands dirty. In many contact me spells, the caster's blood is sometimes used. I leave this part for the last step, just a prick on the finger and the blood to be dabbed onto the wick of the candle. With the masking tape, stick down the grease-proof paper onto the table nice and good. Will not do if while rolling the candle the paper comes off. 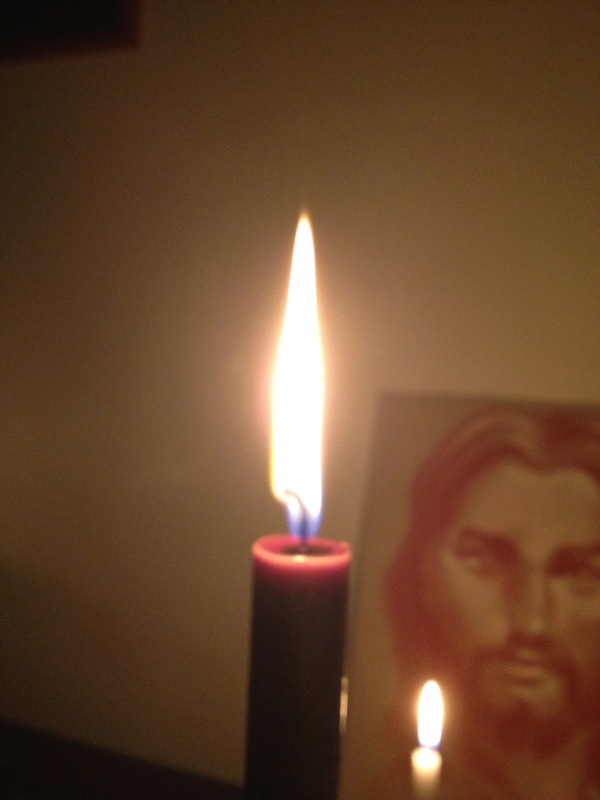 Light the ordinary candle. 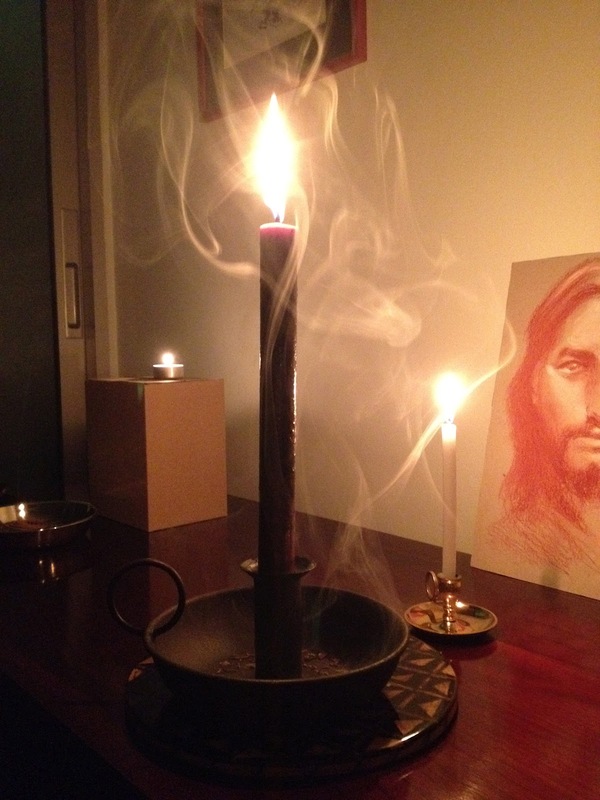 You will be passing the brown candle through the flame of this candle to soften it. The idea is to roll the softened candle on the grease-proof paper sprinkled with your powdered herbs to get the herbs deep into the wax. Some people even use two candles, by melting one, removing the wick and spreading the wax out onto the paper, then rolling the other candle in it, making the candle much thicker. During the whole process your mind must be focused on what you want to occur, thinking of what you want the target to do. "You must find me. You have to find me." Something like that, as you roll the candle in your direction. Envision the person coming to you as you do so. Half of the spell is during the physical crafting of the candle, when your intent is being "made" right into your tobacco candle. Now if you like, prick your finger and dab your blood onto the wick of the candle. The last part is to put it in a candle holder and light it. Then while continuing to talk to the candle as if it were the person, light your tobacco and speak to the candle through the smoke. Here the flame went tall, with no smoke or soot, and flickered, meaning the target was greatly affected by the work. Tobacco candle spell. Savour it, smoke it. Try it. Hello everyone! I'm "Smoke" from the little red dot, Singapore. South-East Asia, welcome to the Orient! Here in this blog is my spiritual journey and my records and ramblings of it. Singapore being a central shipping port in history, has seen and met with many cultures and races around the world, and hence religion, spirituality and magic here is mixed as well, diverse and exotic, with plenty of religious harmony and tolerance.